Is Your Body Weight Loss Resistant? 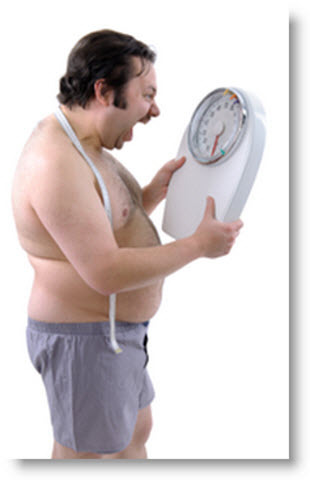 You are here: Home / Weight Loss Basics / Is Your Body Weight Loss Resistant? After watching excess calories like a hawk, exercising like crazy and taking what you thought were the right supplements you step onto the scale only to find out that your weight has not budged one bit. Not even one ounce. The disappointment, frustration and discouragement that result cause you to give up the fight altogether blaming it on age or metabolism. If this is the point you are at with your weight loss goals it’s time to find out what you could be doing that is making your body so resistant to losing weight. Your waist measurement is over 35 inches if you are female and 40 inches if you are male. You experience digestive problems such as bloating especially after a meal. Your life is filled with unmanaged stress and anxiety. Your energy level is low or unstable throughout your day. You experience food cravings, especially for high-carbohydrates (sweet) food. It is difficult for you to build and maintain muscle tissue. You are prone to night eating and snacking. You experience less than one bowel moment a day. If you resonate with even one of these symptoms you can be sure that you are dealing with a weight loss resistance issue. This does not mean that you are sentenced to a lifetime of being overweight. It simply indicates that your body has changed hormonally in some significant way. But, that can be fixed. Weight loss resistance does not lie in attempting another diet, nor is it about screwing down your food intake so it fits through the eye of a needle. Neither will you have to tackle more inefficient exercise methods. It is not about taking in less food…it is about more quality food that leads to more energy, more strength, and more vitality; all important ingredients for a slim, healthy, and feel-good body. No matter how many weight loss diet plans you have tried and failed at, it is probably because they have only addressed one single aspect of weight control (food reduction) and did not address the fact that your body (and mind) might be working against your efforts. You have to make changes, plain and simple. If you want things to be different then you must begin to do things differently in terms of your eating, activity levels and your overall lifestyle in order to prevent your weight and ultimately your health to spiral out of control. When you re-balance your bodies fat burning/fat storing hormones you are no longer on the fat gain ‘merry-go-round’ but on the fat loss one. If you answered ‘yes’ to any of the above symptoms, you would be wise to take my 60 second test to find out how you fare on the weight loss resistance scale. Filed Under: Weight Loss Basics, Why Can't I Lose Weight?